From early antiquity, The Armenian people developed a rich and distinctiveculture on the great highland plateau extending from eastern Asia Minor to the Caucasus. On that crossroad, they interacted on many levels with civilizations of the Orient and Occident. The Armenian community in Constantinople, dating back to the 4th century, contributed to the cultural and material development of the imperial city, the City of Constantine-Kostandnupolis or Bolis, today's Istanbul. Under Ottoman rule the Armenians in the capital registered impressive cultural and economic achievements despite their legal status as second-class citizens and they witnessed an enlightenment and cultural reawakeningin all spheres of literature and arts. The military and economic decline of the Ottoman Empire, however, caused severe tensionsbetween Turks and Armenians, further exacerbated by strains in international relations. The Armenian massacres of 1894-96 and 1909 culminated in the Armenian Genocide beginning in 1915 during World War I. 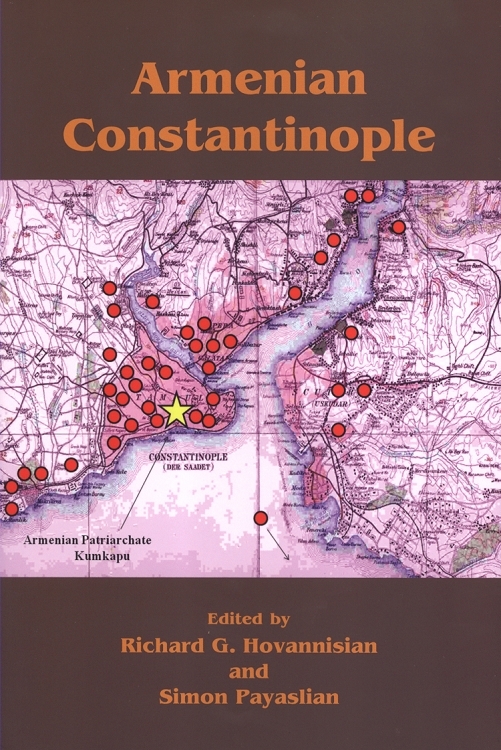 This is the 9th book in the UCLA conference series of "historic Armenian Cities and Provinces". Multiple Scholars have contributed to this volume.